Tremonti have released a striking black and white video for their track Throw Them To The Lions. 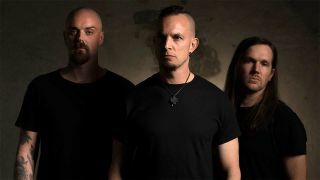 The footage was captured in Manchester last year when Mark Tremonti and co were on tour in the UK in support of their latest studio album A Dying Machine. A Dying Machine was the first concept album of Tremonti’s career, with the theme based around a sci-fi story which takes place at the turn of the next century where humans and fabricated beings called ‘vessels’ are trying to co-exist. Tremonti will head out on tour once again from next month, where they’ll play shows across the US with Sevendust.